When a New Jersey driver is charged with driving under the influence, there are many concerns and fears that will be a natural part of the process. Although DUI is a traffic offense in New Jersey, that doesn’t mean the penalties for a conviction are any less onerous. It is in the best interests of drivers – personally, professionally and financially – to do whatever is possible to have the charges dismissed, reduced, dropped or to be acquitted. With this in mind, it is imperative to have a qualified New Jersey DUI defense attorney who will know how to go about the process of crafting a sound defense. A major factor in that is discovery, which is when the evidence in the case will be provided to the defense attorney to sift through and look for weak spots that can be exploited in mounting a defense. From the time a DUI traffic stop is initiated, it is important that the proper procedure is followed by the law enforcement officer in order to make the evidence valid. When a stop is made, the officer is not allowed to make it on a whim. There must be a justifiable reason for it. This can include witnessing a traffic violation, receiving a tip from a witness or simply seeing the driver behaving recklessly. Once the stop has been made, the officer will engage with the driver asking for the driver’s license and other information. This isn’t simply a formality as the officer will also look for signs of intoxication that can include an open bottle of alcohol or pills, slurred speech, glassy eyes and the smell of alcohol. If the officer still believes a DUI is being committed, the driver will be asked to take field sobriety tests. Field sobriety tests include the Walk and Turn test, the One-Leg Stand test and the Horizontal Gaze Nystagmus test. If the driver or a boater suspected of DUI performs poorly on these tests, the breath test will be given. If the driver is believed to be under the influence of drugs instead of alcohol, the officer will want to take the driver to the hospital to draw blood. 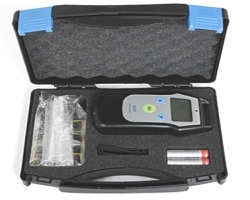 The breathalyzer test is used to determine blood alcohol content. If a driver age 21 or over registers 0.08% or above, that is over the legal limit. If the driver is under 21, the BAC must be 0.01%. A commercial driver must register 0.04% to warrant an arrest. Once the officer is making the arrest, the driver must be read his or her Miranda rights against self-incrimination. This is important to remember when it comes to the defense attorney and the discovery process. Penalties for a DUI with a BAC of 0.08% or above are the following: a driver’s license suspension of three months; a fine of $250 to $400; an annual surcharge of $1,000 per year for three years; a $230 fee for the Intoxicated Driver Resource Center (IDRC); $100 for both the Alcohol Education and Rehabilitation Fund (AERF) and the drunk driving fund; $75 will go to the Neighborhood Services Fund; there can be up to 30 days in jail. With higher BAC levels and a DUI for drugs, the penalties are worse. A defense attorney in a DUI case will try to find any mistake – small or large – made by the arresting officer or during the entire process to try and have the charges dismissed or gain an acquittal. In general, the prosecution will provide the basic evidence relevant to the case to the defense lawyer. This will include the arrest report prepared by the officer and the documents of the blood or breath tests. The purpose of this is to give the defense attorney a fair opportunity to study the evidence. There are certain aspects of this discovery that the defense attorney will look through to find mistakes. For example, if the officer didn’t adhere to the 20 minute rule when observing the driver prior to giving the breath test, the results could have been compromised. The officer must be certified to give the test and the breathalyzer machine must be properly calibrated to make the test results valid. Witnesses will be listed, the video evidence – if any – will be part of the package. In many instances, there is something in the initial discovery that will benefit the defense significantly and might lead to the charges being dropped or there being an acquittal. In others, however, the defense attorney will need more than the prosecution might be willing to give. It is then that a series of motions will be filed to garner more evidence. The records of the officer with complaints and disciplinary issues could be important. The aforementioned calibration records and certifications of the officer might not be part of the initial discovery phase, but could be major parts of a successful defense. The attorney might request that there be a split in the blood or urine tests. What this means is that the defense will be allowed to have an independent laboratory test the urine and blood to look for discrepancies or mistakes that might have been made. People who are facing the penalties of a DUI conviction need to understand that there won’t be a dramatic courtroom scene in which a witness recants testimony or the officer or prosecutor are found to be corrupt. If there is to be an acquittal, the basis of it will be found during discovery and it takes an experienced defense attorney to follow the process of finding it.